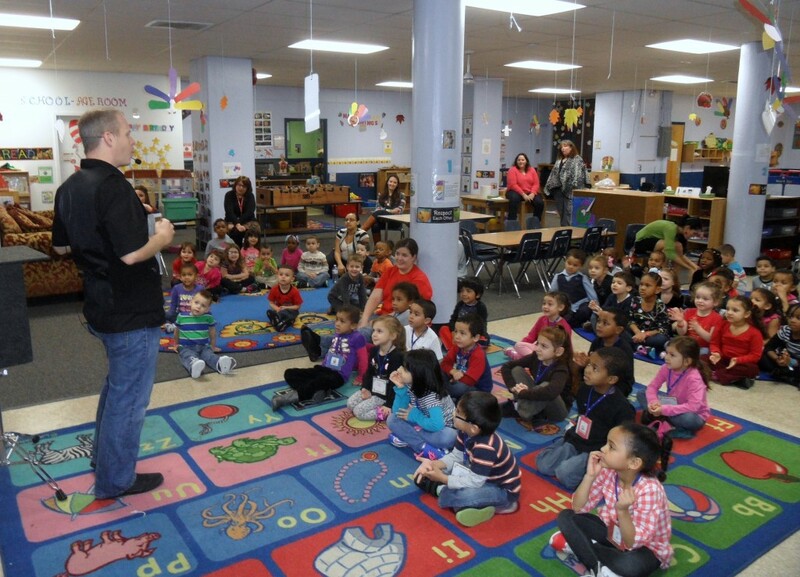 Pennsylvania’s Magician For Kids Eddy Ray has performed assembly programs all over the area including places such as Philadelphia PA, Harrisburg PA, Allentown PA, Lancaster PA, and more. Eddy is one of the busiest full time professionals in Pennsylvania. If you’re searching for a qualified and experienced assembly presenter and magician, you’ve found him. Some important things to know are that Eddy Ray’s assembly programs and magic shows are unique and customized for each event. There are no canned or off the shelf presentations like most others might offer. Eddy has presented “The Magic Within You” program and “AquaCaDabra – the magic of water” program for such organizations as libraries, child care centers, schools, camps, and more. As you see, Eddy Ray offers many types of magic programs which entertain but more importantly teach children by using magic, audience particiption, storytelling, puppetry, and comedy. Eddy even offers hands on magic workshops teaching magic tricks. These workshops help children with hand-eye coordination, self esteem, self confidence and social skills. Some of Pennsylvania Magician Eddy Ray’s clients include: Governor Mifflin Community Library, Bernville Community Library, Tutor Time, Goddard School, Big Brothers Big Sisters, Geigertown Church and many more. Our students & staff here at Selinsgrove Area Intermediate School loved the magic performances! Eddy was very entertaining and engaging with all 3 shows! It was a pleasure making all the arrangements with Eddy; he’s extremely organized and easy to work with! Eddy Ray was very professional and easy to work with. His performance “The Magic of Reading” at our elementary school was received with cheers and laughter. The students thoroughly enjoyed themselves. I would definitely consider bringing Eddy Ray back to perform another event. Thanks so much for the show! We really enjoyed having you come and entertain us. The children loved the show and were kept entertained and informed throughout the performance. Contact now for a free quote and info from Pennsylvania’s Magician For Kids. Eddy Ray performs for kids throughout all major areas of PA and beyond.